Toothbrushes have changed a lot since people first started chewing on sticks to remove food from their teeth 5,000 years ago. Today, home oral care is a multi-billion dollar a year industry. Companies trying to capture some of this market have invented hundreds of designs and invested huge amounts of money in marketing to convince you that their toothbrush is the one for you. The huge choice in toothbrush options is a very modern phenomenon. The fibrous stick method of poking food out of your teeth reigned for about 4,500 years. Bristle toothbrushes like we’re familiar with today were invented in China in 1498, according to the Library of Congress. The bristles were made out of hog hair attached to a bone handle. Boar bristles were used until 1938 when nylon bristles were introduced. Hundreds of patents for bristle layout, handle designs, and other features have been filed in the United States since the first toothbrush patent in 1857. This included electric toothbrushes, which were introduced in 1960. Here are some toothbrush buying tips to help you choose the right one for you. Hint: it’s easier than you think. With so many choices, which is the best toothbrush for you? Soft, medium or firm? Dentists recommend soft bristled toothbrushes. Many of our patients use too much force when brushing their teeth. Medium or firm bristles leave small abrasions on your gums that damage them over time. Don’t get a big head. You might think that a toothbrush with a huge bristle area will clean your teeth better than a smaller headed toothbrush. However, smaller head toothbrushes can reach into tighter spaces at proper angles much more effectively than a longer and wider bristle head. This is especially important to properly clean your molars, where your cheek and jaw make it difficult to angle a large toothbrush correctly. Manual vs. electric? Going powered, ultrasonic or manual on your toothbrush is as much a personal decision as manual or automatic transmission in your car. Some studies show that electric brushes may be more effective for some people, but there are many variables at work. If you’re more likely to brush because you have a fancy electric or ultrasonic toothbrush, then you should buy one. Electric brushes may make brushing more ‘fun’ for kids. The swirling or vibrating bristles should add to – not replace – proper brushing technique. What are the benefits of the right toothbrush? 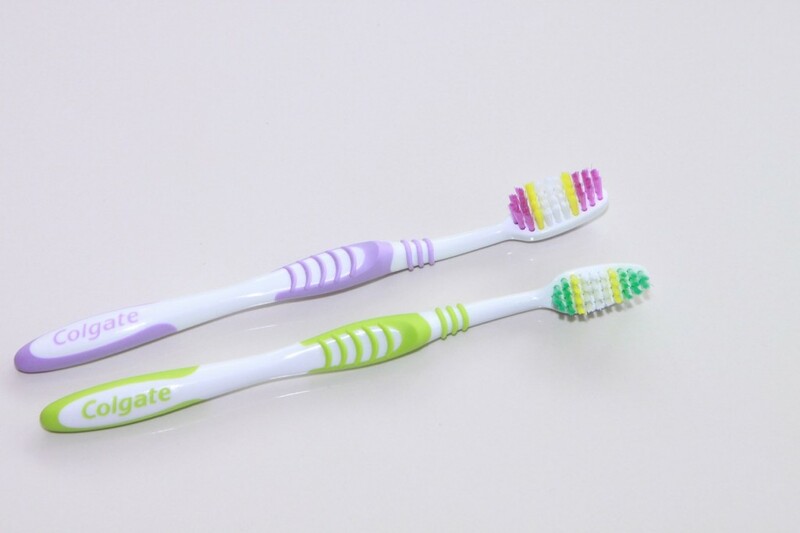 Using a soft, normal-headed toothbrush with proper technique is vital to oral health. Short, gentle strokes at a 45 degree angle to the gums, done twice a day for at least two minutes a day will get you a long way to great teeth, gums and breath. However, even the fanciest, most well marketed toothbrush in the world does not replace proper brushing technique and flossing. Toothbrushes should be replaced when they begin to show wear. This is usually about every three months. Most children and some adults are even rougher on their brushes. Holding on to a more expensive toothbrush that is too worn is worse than using and regularly replacing a cheaper brush. Dr. Hassey, Dr. Do Duy and their team can help you make sure your brushing technique is right to get the most out of whatever color, design or cartoon character brush you decide to buy.